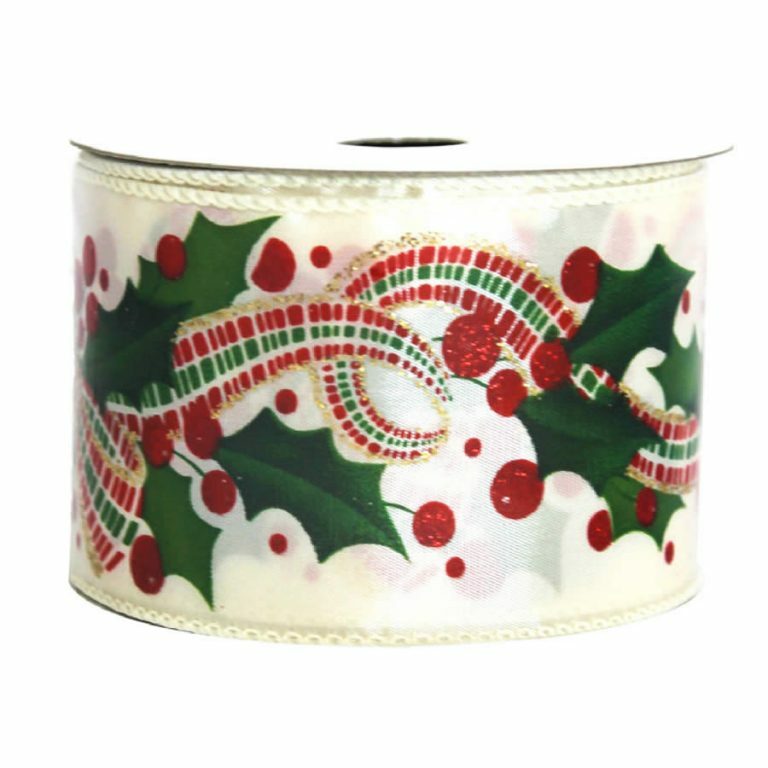 For an extraordinary, festive look, trim your tree and decor with this magnificent Metallic Waves Christmas Ribbon. 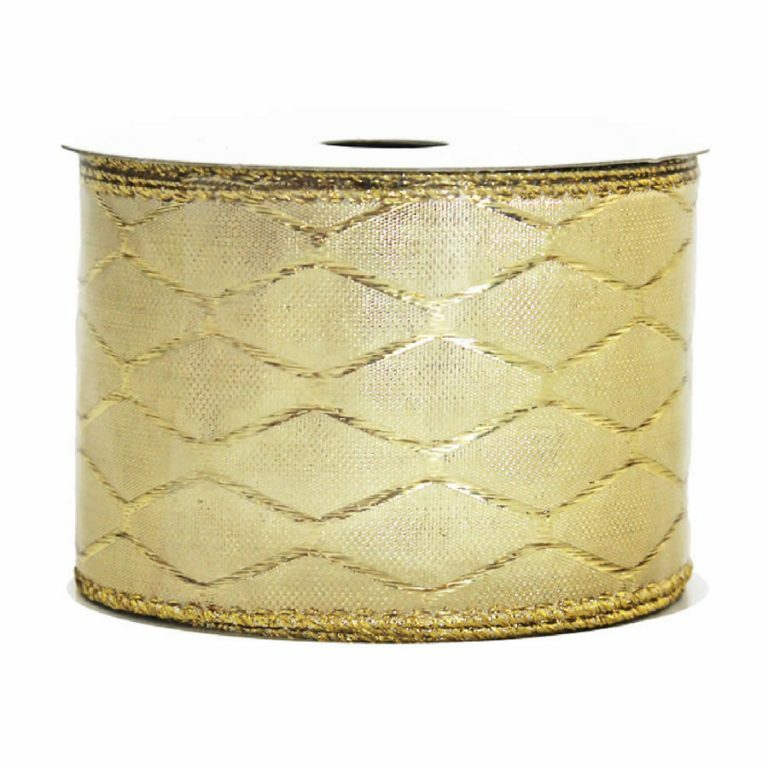 Each 9-metre roll of durable, wire-edged ribbon features an extravaganza of colour, shimmer, and shine! 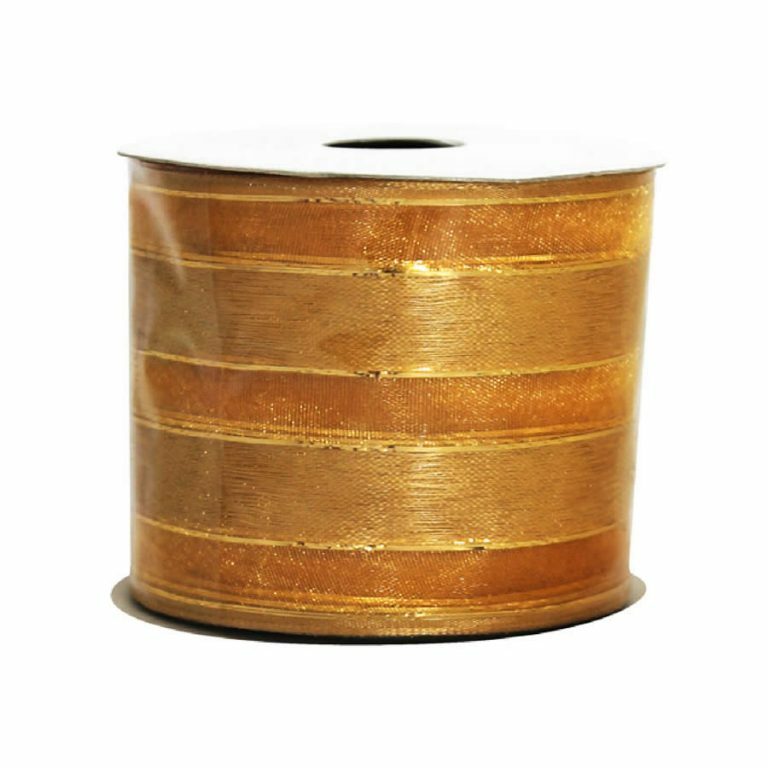 This 7cm wide ribbon is perfect for creating a dramatic look on your Christmas tree, a wreath, or even to trim a centrepiece or floral display. 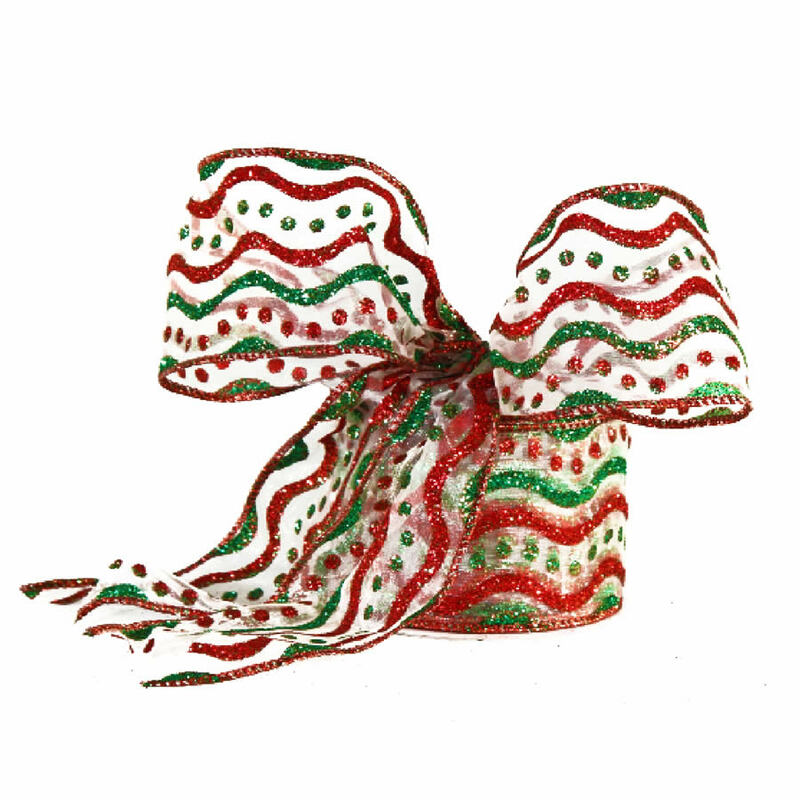 The rippled waves of glittered red and green really stand out on the wintry white background of this beautiful ribbon. The wire edge allows you to create stunning bows easily, without stress, and is discreetly tucked behind a fine braid of metallic red trim. This ribbon is bright and cheery; imagine how it will look on a white or green background! This ribbon further saves buyers money on the cost of pre-made bows and trims, and allows you to create and recreate projects year after year!